The name is so incredibly inspiring and intimidating at the same time. The man who created Apple. The man who turned black turtlenecks into a uniform of power. The man who changed technology forever. His legacy is one-of-a-kind. The tech titan's impact on the world remains unparalleled. Which is why it comes as no surprise that Jobs was a very unique individual right from the beginning. He wasn’t your average kid. He was a born genius. His biological parents, Abdul Fattah Jandali and Joanne Carole Schieble, unaware of the wonder they had created, gave him up for adoption almost immediately after he arrived. They were both immigrants, unwed and too young to take responsibility of another human being. Soon, a working class couple, Paul and Clara Jobs, took in little Steve. From a very young age, Steve Jobs found himself mesmerised by the power and intricacy of computers. He used to work with his mechanic father in the family garage, taking apart cars and putting them back together. This kick-started his love for machines. He credits his father for teaching him how to pay attention to detail, a mantra that sets Apple apart from most competitors. He was such a prodigy that his teachers suggested he skip several grades, a suggestion his parents rejected. At the age of 12, Jobs called HP founder Bill Hewlett to ask for electronic parts for a school project. This impressed Hewlett so much that he offered Jobs a summer internship. As he grew up, Jobs developed a strong distaste for formal education. He never really enjoyed school. Eventually, he went to college but dropped out after the first semester. "If I had never dropped in on that single calligraphy course in college, the Mac would have never had multiple typefaces or proportionally spaced fonts." He got a job at a video game manufacturing company, Atari. He saved up and headed to India with a friend for ‘spiritual enlightenment’. They stayed for 7 months, traveling around in buses between Delhi, UP and Himachal Pradesh. There, Jobs studied Eastern religion and returned home as a Buddhist. He had completely transformed as a person. He shaved his head and wore traditional Indian clothing. But Jobs wasn’t done experimenting. He then turned to psychedelic drugs for further exploration of the mind. He described taking LSD as "one of the two or three most important things” he had done in his life. Jobs led a very simple life after that. He practiced Zen Buddhism and lived in his parents’ backyard. Owing to his diversified experiences, the concept of counterculture became a driving force in his future ideologies. Then began a new phase in the great inventor’s life. Steve Jobs commenced a revolutionary collaboration with Steve Wozniak. The namesake duo went on to redefine computers and subsequently, the larger picture of technology. One day, they would be the co-founders of the world’s largest IT company. They started with the ‘blue box’; a digital device that could be used to make long distance calls for free. Its success became their motivation to take on big companies with their inventions. This led to the birth of the first-ever Apple machine. Jobs and Wozniak paid for the ambitious project by selling off their gadgets. They laboured relentlessly in Jobs’ garage to finish it. Jobs spent the maximum time working and often greeted clients in his underwear, and barefoot. The man was still very much a hippie, just not when it came to business. He chased investors till Intel agreed to fund them. Soon, Apple started making news and Jobs broke into Silicon Valley with a big bang. 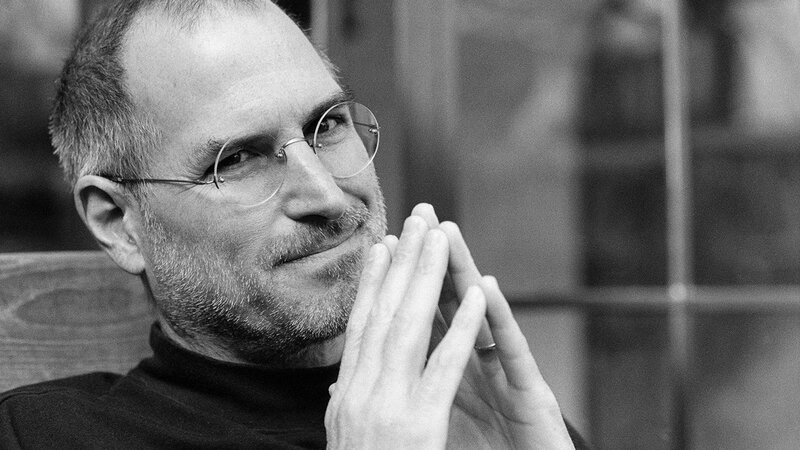 Jobs was worth $1 million when he was 23, $10 million at 24 and crossed $100 million by the time he was 25. He was the one of the youngest people to be featured on the Forbes list of the country’s richest people; a big feat without inheriting any family wealth. But then mayhem made its way into Jobs’ life. His on-and-off lover, Chrisann Brennan, became pregnant with his child. Jobs shunned responsibility and claimed he was sterile even though a DNA test proved he was the father. The matter became a legal controversy. A daughter was born and named Lisa. Surprisingly, Jobs named his new breakthrough personal computer Lisa as well. Time Magazine interviewed Jobs for its ‘Time Person Of The Year’ special but when the issue came out, it was revealed that instead of featuring Jobs, the magazine had named the computer the ‘Machine of the Year’. Jobs never trusted journalists again. Then came the biggest setback of Jobs’ career. After an internal discussion, he was fired from the Macintosh group. The decision was made after Pepsi Executive John Sculley encouraged the board to do so. Ironically, Jobs had recently hired Sculley. Despite the shocking betrayal, Jobs didn’t give up. He went on to establishing his new company, NeXT, but couldn’t boost sales due to the high prices of the machines. Later, NeXT would merge with Apple to give us the iOS we have today. But Jobs wasn’t satisfied. He wanted to build a bigger empire. So, he invested in a startup called Graphics Group, now known as Pixar. He initially put in his millions and the company’s instant success after the release of Toy Story paid back Jobs and how. He remained a majority shareholder in Pixar. Everything was well. But suddenly, Jobs' life shattered completely. He was diagnosed with a rare form of pancreatic cancer. Jobs famously declined any medical treatment and refused to see a doctor, turning instead to natural methods such as vegan diets, acupuncture and herbal juices to curb his illness. It is said that his plan backfired, worsening his health fatally. He continued working at Apple and died six weeks after his final working day. He went into a coma right after that. The revolutionary visionary gave us quite the awe-inspiring legacy that will be taken into account by the future of technology around the world.